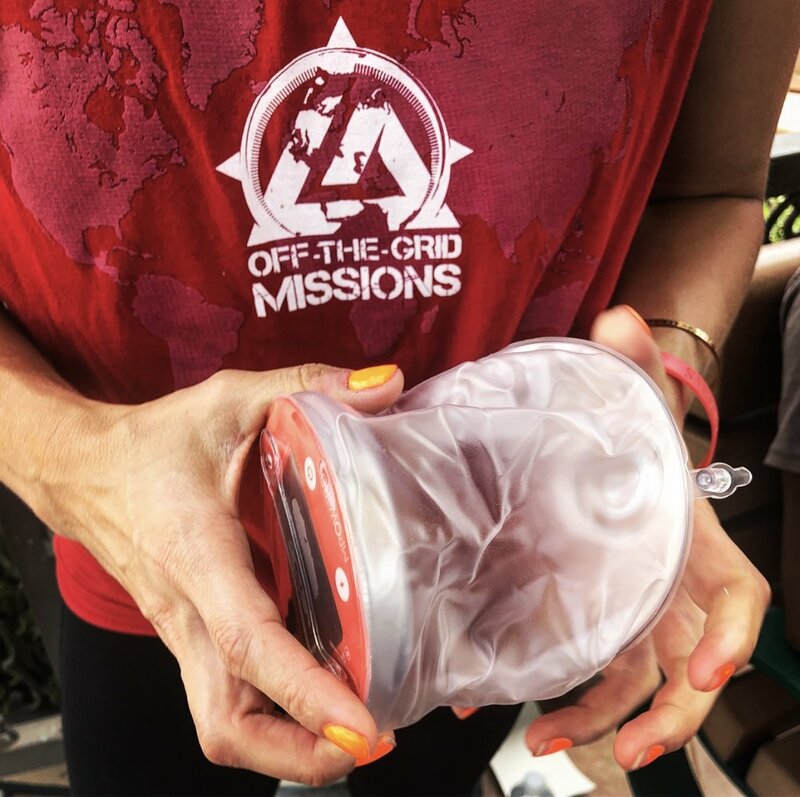 "Off-The-Grid Missions" is a Non-Profit Organization that works to provide access to survival tools in remote regions around the world. 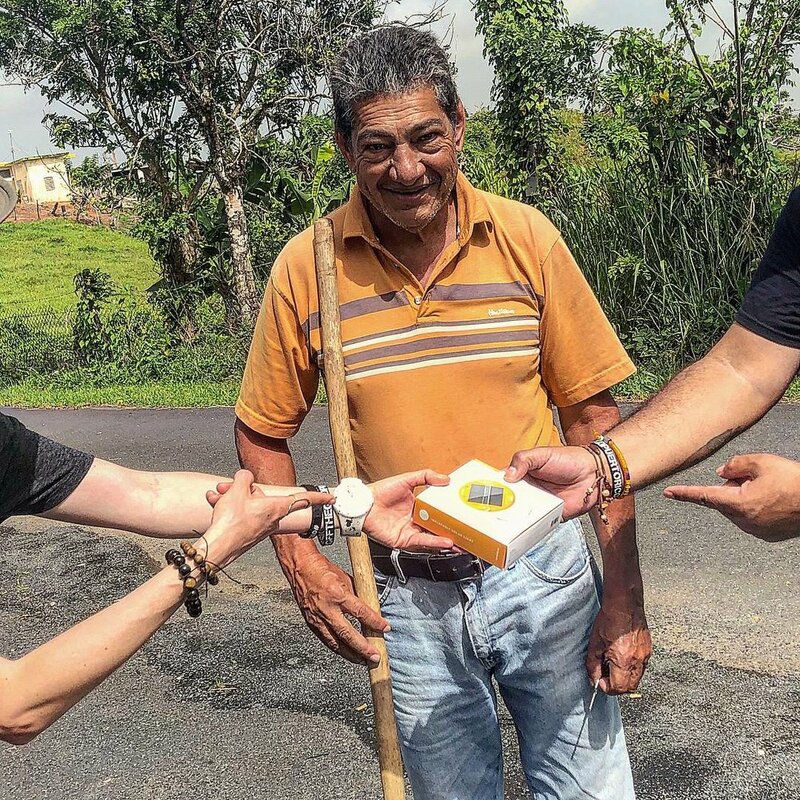 In the aftermath of Hurricane Maria, this organization has been supplying the Deaf & Hard-of-Hearing Community with light, water filtration systems and hygiene supplies. Their story reveals the impact that light has on a community that relies on visual communication. When it comes to a natural disaster, those of us with a hearing-loss are less likely to recieve relief such as food and water, and are also more likely to be victims of violence due to language and communication barriers. Light is a crucial factor; those who rely on visual communication such as Sign Language can no longer communicate after sundown. The lack of electricity causes information to be limited to word-of-mouth; however, we cannot simply pass information to the Deaf/HH by voice, walkie-talkie, radio or internet. Therefore, a majority of those whom we supply have been individuals we discover on foot by collecting names and addresses from friendly strangers and using social media to spread the word to those few who have access. This makes finding the Deaf & Hard-of-Hearing living in the remote regions of the island an extremely difficult task. However, amidst the devastation, the resilience of the Deaf/HH Community in Puerto Rico has been our team's brightest light. A regular day for an individual who is Deaf or Hard-of-Hearing can be challenging having to constantly deal with communication barriers. These barriers induce symptoms of Audism [the notion that one is superior based on one's ability to hear or to behave in the manner of one who hears, or that life without hearing is futile and miserable, or an attitude based on pathological thinking which results in a negative stigma toward anyone who does not hear]. So when there is a lack of understanding that a Deaf person can actually do anything except hear, it then insinuates that the person is "less than" which leads to a person with a hearing-loss to be immediately labeled as "Hearing-Impaired", or "Sordo-Mudo" (Deaf-Mute) which is common in many Spanish-speaking regions around the world. Both labels are not only insulting but irrelevant, because while some Deaf do speak, and some do not –any Deaf person can speak if they make the choice to do so. Therefore, labeling a Deaf person as mute, is moot ...no pun intended. Nor do we look at ourselves as impaired, which translates into weak, damaged or broken. We have a culture all of our own, called "Deaf Culture" –which has it's own language with it's own grammatical structure, cultural mannerisms and traditions. If a [non-signing] Hearing person were to enter a room filled with Deaf people –who would then be considered impaired? So, in the event of a crisis such as a natural disaster, this way of thinking adds insult to injury for the Deaf Community. 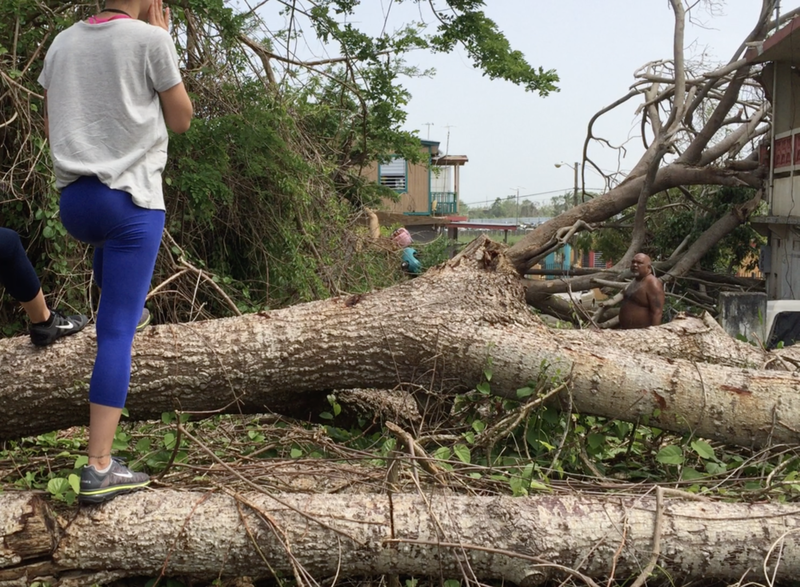 For example, the Deaf are the last people to be notified of where relief is located because access to information is cut-off; and when there is not a sufficient amount of supplies even for the general public like what has happened in Puerto Rico, it could be months until the Deaf receive any kind of support at all. There are also many Deaf people who are cut-off from society, being raised in isolation without a language and as a result have created their own form of communication. Labeling a Deaf/HH person as mute or impaired only reinforces Audism, and that has no bearing in our community. We value our culture and want to preserve it's beauty, so as we work to provide access to the Deaf Community, it is also an opportunity for us to educate those we meet along the way. And along our way we were fortunate enough to meet MPOWERD whose solar light has been used to provide sustainable visibility for those without electricity. However, the Luci Lights are extensively more valuable for the Deaf/HH who rely on light to communicate in Sign Language. The Hearing may find the durability of the light most appealing, while the Deaf are most intrigued by the light's settings. For example, the bright setting is crucial for communication. At home, it is typical for the Deaf to gather in the kitchen because that is where the light is the brightest. So the bright setting enables those in a room to comfortably hold a conversation. The dim feature is a great feature for Deaf mothers who need a softer light whether feeding their child or while their child is asleep. The flicker feature is exceptionally unique because while a Hearing person can just shout a person's name to get their attention, a Deaf person must either flick a light, walk-up and tap them on the shoulder, or wave to them from a distance. Each feature on the Luci Light provides a sense of normalcy for a Deaf person that would otherwise be lost when there is no electricity. As we mentioned, the greatest challenge we have had is locating the Deaf, the second greatest challenge has been teaching those without a language how to use the supplies. For example: what the light is, what it is for, how to use it, when to use it, how to charge it, and when to store it away for the next power outage. It is a detail that a Hearing person could easily take for granted; however explaining the functionalities of the Luci Light could easily take an hour. We use a mixture of hand and facial gesturing, American/Puerto Rican Sign Language and Spanish. Fortunately our team is tri-lingual enabling us to work together most efficiently, especially if there is someone else nearby such as a neighbor. We can voice to the neighbor so that they can reinforce those details after we leave. Our 6th mission to Puerto Rico since Hurricane Maria has been in preparation for the next storm. Because we are now in the midst of Hurricane Season and the island has yet to fully recover, it was important for us to be proactive. Many are still living without electricity, and there are power outages daily so any tropical storm could take the electrical system down. We have been focused on ensuring every Deaf/HH person on the island has access to solar light whether their electricity at home is functioning or not. Because we work off-the-grid, at times we (the frontlines ground team) are susceptible to the same lack of basic needs. 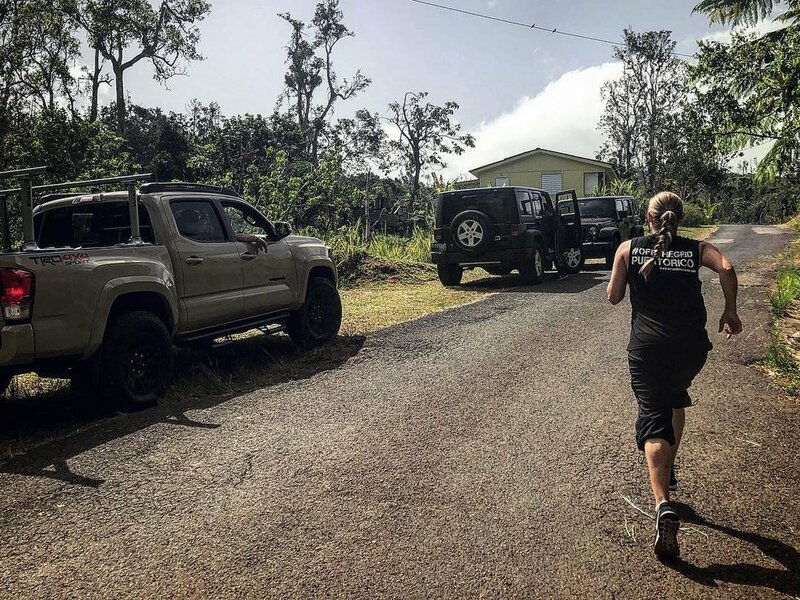 Such as during our first-responder mission when the hurricane had just hit, our team was collecting rainwater to bathe, and relying on the same supplies that we were donating to keep us afloat. We are quite a small organization made up of mostly Deaf and Hard-of-Hearing backpackers; however, we are growing and making a larger impact with the support of partners and companies like MPOWERD who not only believe in our mission, but work hard to provide us with the necessary tools so that we can continue to focus our energy towards the solution. Thank you to MPOWERD for the opportunity to do better.